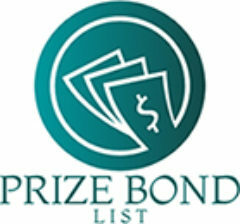 Prize bond Draw List 76 Rupees 40000 Result 3rd December 2018 check from here. 76 draw of 40,000 date is Monday, 3rd December, 2018. 76 draw of 40,000 rupees will be schedule in Quetta. National savings of Pakistan will organize the Prize bond List 76 Rupees 40000 draw. The reward for the winner of first prize is Rs.75,000,000/- and the lucky number is 656277. While the second prize is of Rs.75,000,000/- for each 03 Persons. The winners are 066573, 450097, 636135. While the third prize winner will get Rs. 500,000. Their are total of 1,696 Persons which will get 5000,000 rupees each. Fourty thousand rupees prize bond is the expensive bond of all categories of bond. Rupees 40,000 can change the life of any person. You can download the complete list of fourty thousand rupees Prize bond 76 Draw 3rd December 2018 Result from here with out any problem. All those persons who have rs 40000 prize bond can check from here. Moreover, you can also download Prize bond list of 40000 from here. You will be very luck if you won first or second prize. How to Check Prize bond Draw List 76 Rupees 40000 Result 3rd December 2018? Procedure is mention below to check as well as download list of 40000 rupees prize bond 76 draw result. Result of 76 draw of 40000 prize bond is available here. You can also check Prize bond list 40000 Result 76 Draw December, 3rd 2018 from the National saving site. You can view as well as download Prize Bond rupees 40000 Result of Draw number 76. Press Ctrl+p in order the the print of Prize bond Draw List 76 Rupees 40000 Result 3rd December 2018.